Missions within the Department of Homeland Security (DHS) are complex -- combining systems, data, organizations, and activities. Analysis supporting these investment and operational decisions, however, tends to focus on individual systems, without addressing their role in the larger mission architecture. Combining cross-organization, operational data and analytic tools in a “system of systems” approach provides decision makers, from program managers to senior leadership, insights to make smarter operational and investment decisions across the diverse homeland security domain. In October 2017, the DHS’s Science and Technology Directorate launched System of Systems Operational Analytics (SoSOA), an S&T agile development program. SoSOA is being designed to be a virtual desktop environment for collaborative operational analyses that enables complex, timely, mission-focused decisions across DHS and the Homeland Security Enterprise. SoSOA supports decision makers by combining the right data, tools, and training to enhance analytic capabilities DHS-wide. By partnering with DHS Component clients, SoSOA is building an enterprise environment to efficiently meet analysis and decision-making needs across the enterprise. SoSOA will maximize DHS data sources and uses agile modeling and analytics to shorten analysis cycle time and reduce resource and personnel needs. SoSOA modeling, analytic tools, and methodologies, used with organization-specific data and problem sets, trim costs and save time. 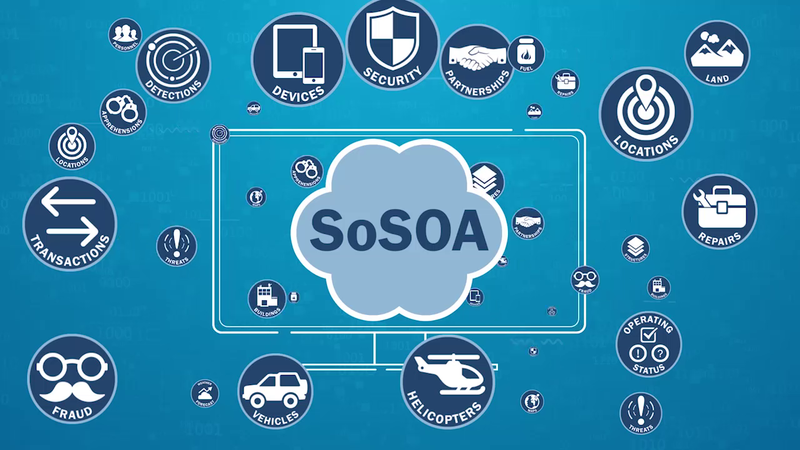 SoSOA is for decision makers and analysts across the DHS Component, DHS HQs and the larger homeland security enterprise.